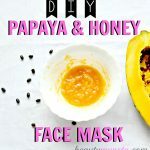 Easy Pineapple Face Mask for Acne with Turmeric - beautymunsta - free natural beauty hacks and more! Acne is such a pain and it’s even more of a pain when searching for a gentle-enough face mask that will help soothe as well as exfoliate! But with pineapple in your midst, you can make a perfect pineapple face mask for acne, with a powerful acne-busting ingredient: turmeric! 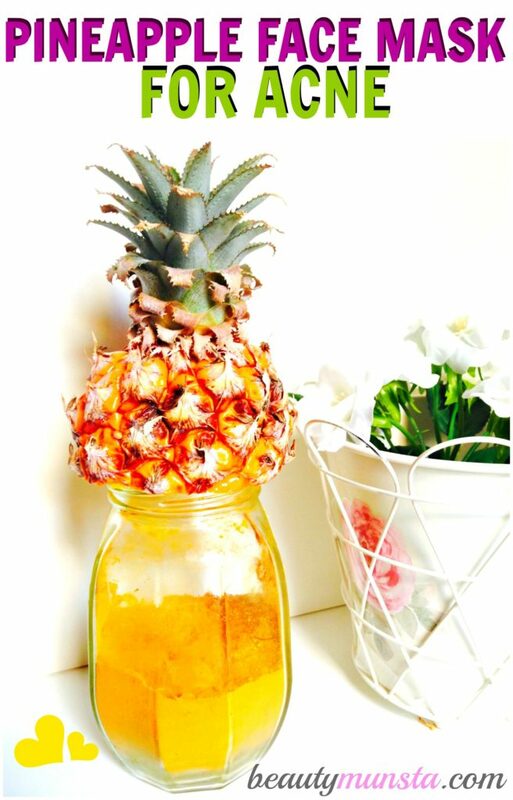 Pineapples are known in the beauty world for their exceptional skin exfoliating properties. The key exfoliating ingredient is Bromelain, an active fruit enzyme in pineapple that helps break down proteinic matter and dead cells. This fruit enzyme was also popular in ancient times for reducing swellings which means it can help reduce acne inflammation. I’m sure you’ve seen ‘pineapple extract’ as a key ingredient in many chemical-laden artificial face masks and scrubs out there. Well, let’s forego the artificial masks and use a real pineapple instead to heal acne, reduce inflammation and lighten existing acne scars too! 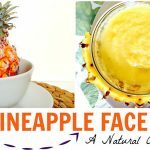 Follow me through this step-by-step easy guide on how to make a pineapple face mask for acne! Take Care: Please avoiding using pineapple in your face masks if you have any open wounds from popped pimples! Pineapple on a wound, burn, broken skin or any other sensitive area will sting like crazy! Pineapple Pineapple will help naturally dislodge dead cells, grime, dirt and bacteria from deep within acneic skin without you scrubbing hard and worsening your acne. By exfoliating, it will also help soften skin and get rid of dry flakes. Bromelain, a fruit enzyme in pineapple has been used to treat inflammation and swellings since ancient times. Turmeric Turmeric contains curcumin which is a powerful anti-inflammatory, anti-bacterial and anti-oxidant nutrient that will work wonders in soothing and clearing off acne and popped pimple wounds. 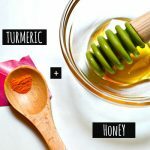 In addition to that, turmeric also has natural skin bleaching properties that will help fade acne scars and leave your face glowing like the sun! Begin by washing your pineapple. Next, chop off a small ¼ section from the bottom and peel the rough skin off. Cut this section into small chunks and blend it in a high speed blender until you remain with a lump-free puree. Place this puree in a small bowl and stir in a pinch of turmeric powder. Voila! 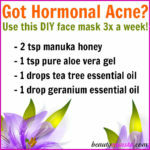 Your anti-acne face mask is ready! Wasn’t it easy peasy? Make sure your face is clean and dry before you apply the face mask. Using your face mask brush, scoop up some of the pineapple turmeric face mask and apply it evenly onto your face. Please avoid sensitive areas and the area around your mouth and eyes. Sit back and relax for 10 minutes as the pineapple face mask does its magic. In case the face mask starts stinging, it’s time to remove the face mask. Using tepid to cold water, rinse off the face mask. Remember to shut your eyes tight to prevent the pineapple face mask from entering your precious eyes! Pat dry with a soft towel and apply a drop or two of coconut oil to moisture. 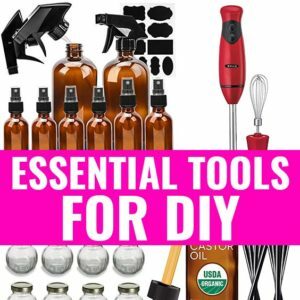 Don’t forget to use a face mask brush to apply the mask because turmeric can stain your fingernails! Not to worry if you do get yellow stains: here’s my nifty stain removing trick: scrub your fingernails with ¼ piece of a lemon and use a nail brush for more effectiveness. The stains will be off within a few minutes. Excess face mask mixture can be stored in the refrigerator for upto three days. Remember to allow the mixture to thaw and cool down to room temperature before using it onto your face. There’s no need to scrub this pineapple face mask for acne onto your skin to exfoliate as it is a natural chemical peel which has exfoliating properties. And scrubbing might actually aggravate your acne. Take care not to add more turmeric than enough in this face mask as turmeric can in fact stain skin yellow. 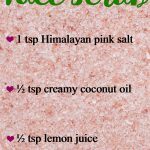 Use only ¼ teaspoon or less for that golden glow!